There's breaking news coming out of the Texas Renaissance Festival fairgrounds in Todd Mission, Texas, where a helicopter with four people aboard has crashed. According to local news affiliate KAGS-TV, the pilot of a helicopter, with a total of four people including himself on board, had made an unscheduled landing in a field located near 21778 FM 1774 Road in Todd Mission, of which stunned those residing nearby. 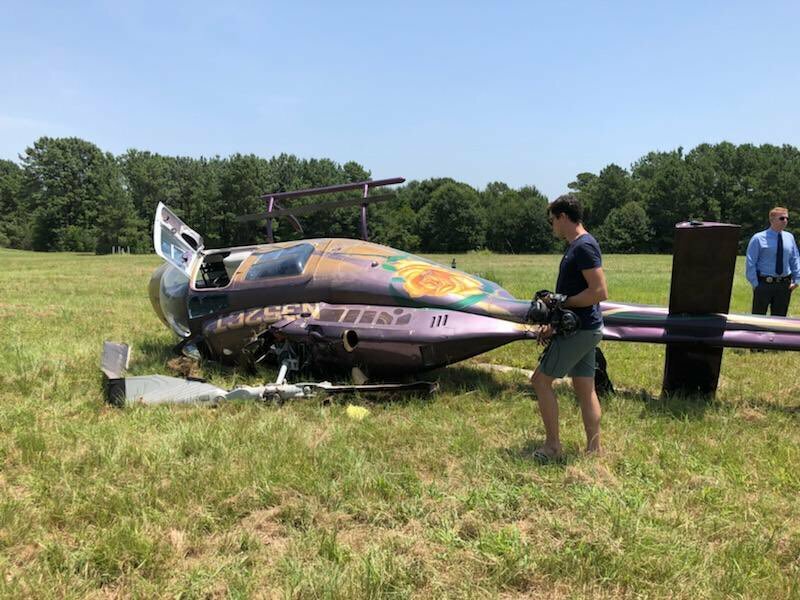 As the chopper began to take off a second time, it fell nearly 30-feet from the sky and crashed, leaving the helicopter in shambles. Emergency medical responders could be seen at the scene of the crash, where both the pilot and their granddaughter have been taken to a nearby hospital for emergency medical treatment. The Federal Aviation Administration (FAA) and local law enforcement officials are investigating the crash as an accident, but have not ruled out malfunction as of this time. As far as we know, there are no fatalities. This is a breaking story. We will follow up with additional information as it arrives.